Loss of professional and vocational board licensure (Florida is one of 22 states that allow suspension of professional licenses). To avoid this it is necessary to cure the default by rehabilitating or consolidating the loan. Consolidation is not available after a wage garnishment order is entered. Consolidation also leaves the default on the borrower’s credit. Many borrowers may have already consolidated their loans and may only be eligible for another consolidation if they have a non-Direct loan. Consolidation also adds 18.5% collection costs to the loan balance. On the other hand, rehabilitation offers many benefits. Direct loans will not be charged collection costs, other loan types will charge a little less than a consolidation – not enough to make a difference though. But rehabbed loans remove the default. For someone wanting to buy a house, this is extremely important. It is also possible to rehab a loan under administrative wage garnishment. Many student loan companies tout the consolidation option as the only option. It is easier to do than a rehab and they charge an overly inflated price to consolidate the loans. But we have seen many companies consolidate loans together that should never have been combined because certain favorable repayment plans are no longer available. They don’t let clients know the default will remain on their credit. They don’t cover how in some cases a rehabbed loan will eliminate the 24% collection costs altogether. Now it takes roughly 45 days to consolidate a loan(s) while it takes 9 months to rehabilitate them. However, we can often get our client’s payments down to $10 during the rehab period if they don’t have disposable income over their reasonable and necessary monthly living expenses. So this gives our client a reprieve during the 9 months. Then we put them on the most beneficial income based plan with debt forgiveness for their loan types, marital status, job types and any other circumstances. 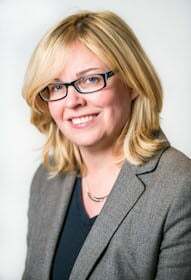 Why is it a good idea to hire a student loan attorney? Do you have the time to figure all this out? Should you believe what a low paid debt collector is telling you over the phone? Are you getting different answers depending upon how many people you speak with? Can you afford the payment you are being told to pay? Are the amounts different depending upon who you speak with? Or do you know why some loans cannot be rehabbed? Do you know how to rehabilitate during an administrative wage garnishment? Do you know how to negotiate a $10 a month rehab payment? Do you know the requirements of a rehab plan and its common failures? Do you know there are limits to how many time you can rehab student loans? For more information and help, please contact us at Christie D. Arkovich, P.A. Check out our Avvo reviews here, or our Student Loan Survival Center for info. 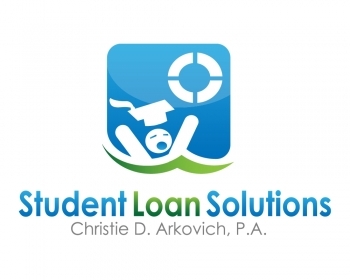 We represent student loan clients in western and central Florida.